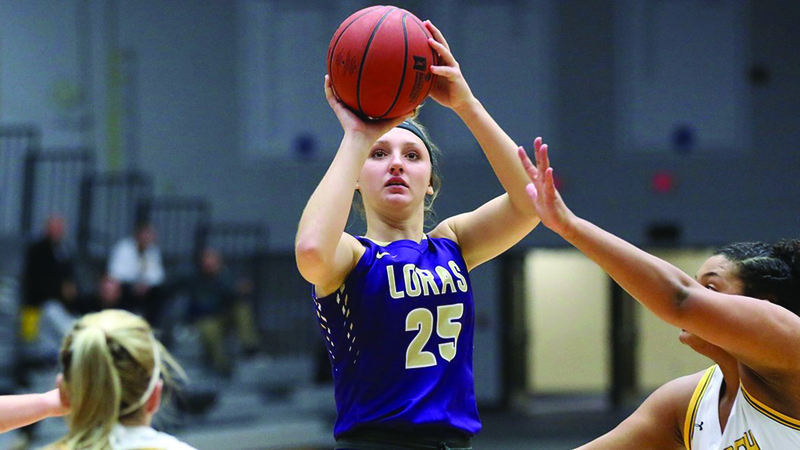 The Loras College women’s basketball team started their season on the road this past week against the Wisconsin Universities UW-OshKosh and #21 UW-Whitewater. The team encountered a physical game against the OshKosh Titans that ultimately led to a 75-83 loss last Friday, Nov. 9. 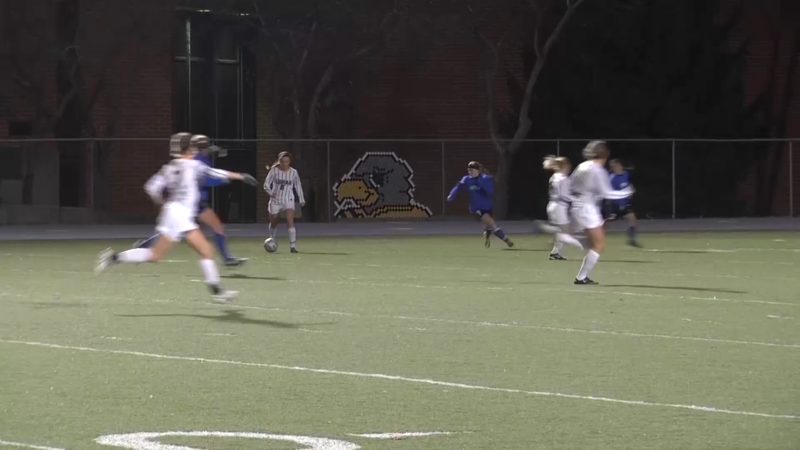 However, this past Monday, Nov 12, the team faced an even more aggressive Whitewater Warhawks. Loras College Duhawks were able to dictate and battle back against the no. 21 team to pull out a 77-73 victory making the Duhawks 1-1 to start their season on the road. Sophomore forward Marissa Schroeder shoots in Oshkosh, Wis. Schroeder scored 15 points and was one rebound away from a double-double. At Oshkosh, the Duhawks struggled in the first quarter being held only to seven points. The team turned up their defense against the Titans in the end of the second quarter holding the Titans to only six points in the last five minutes of the half. To open the third quarter, Oshkosh came out reigning with five three-pointers to increase their lead to 18 going into the fourth quarter. Duhawks found a groove in the fourth quarter finding the basket from beyond the arc going 6-7. The Duhawks scratched their way within eight which was last seen in the first quarter. In Whitewater, Wisconsin, the game was off to a slow start in the first quarter with both teams tied with 17 points. But then Loras started the second quarter with a 9-3 run forcing the Warhawks to take an early timeout. Heinzen mentioned how other teammates stepped up when the starters got into foul trouble. Sophomore forward Marissa Schroeder and junior guard Riley Eckhart combined for 20 of the 28 points scored in the second quarter which gave the team a 12-point lead into the second half. The Warhawks stepped up their defense in the second half but the Duhawks were able to hold them off and maintain their lead. Looking forward, the Duhawks will be playing tomorrow, Nov. 16, at 2 p.m. here in the Athletic and Wellness Center. The Loras Tip-Off Classic will include two games against Beloit College and Lake Forest College Saturday, Nov. 17 at 4 p.m.